GAMCHA [গামছা ga – body, mocha – wipe ] is a thin, coarse, traditional cotton towel from Bangladesh. 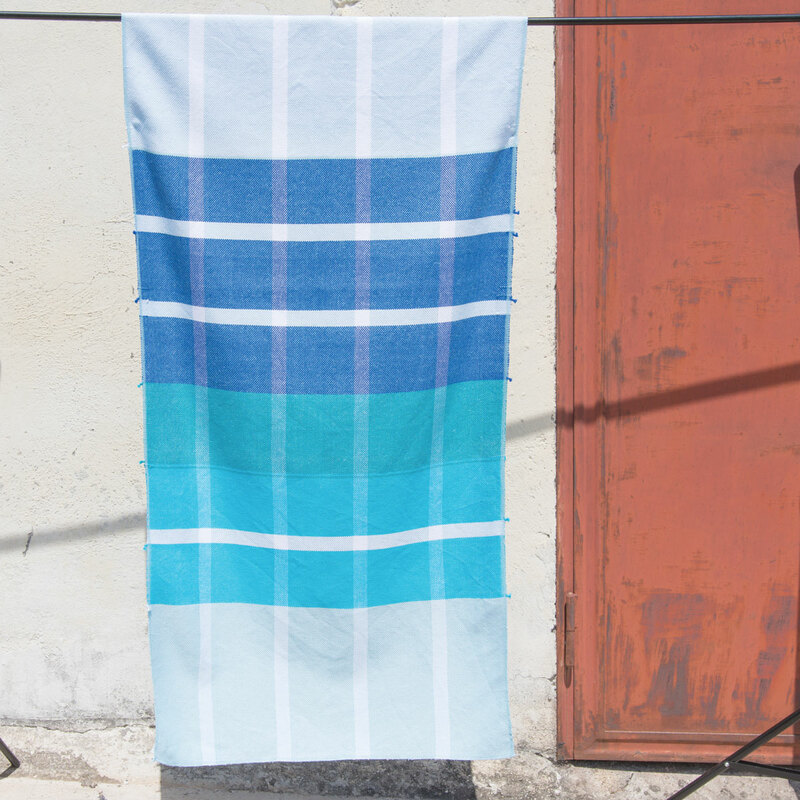 It is a bath towel not as thick as Western-style towels and better suited to the country’s tropical, humid climate. 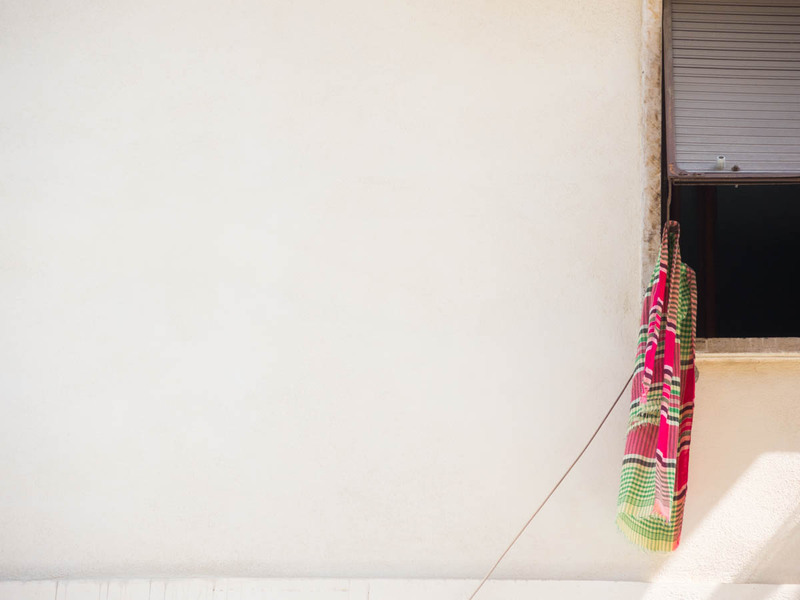 Gamcha is a handloom product, most commonly found with check and striped coloured patterns. Gamcha is a very common daily use object. 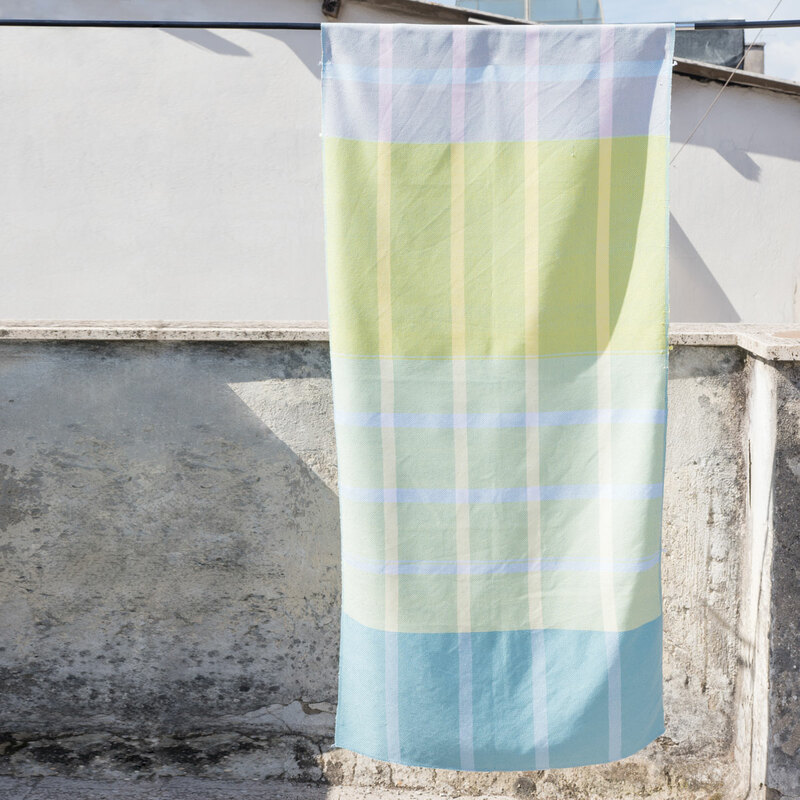 Walking through the street of Torpignattara – East Rome is very common to find striped colorful gamcha hanging out the windows to dry. 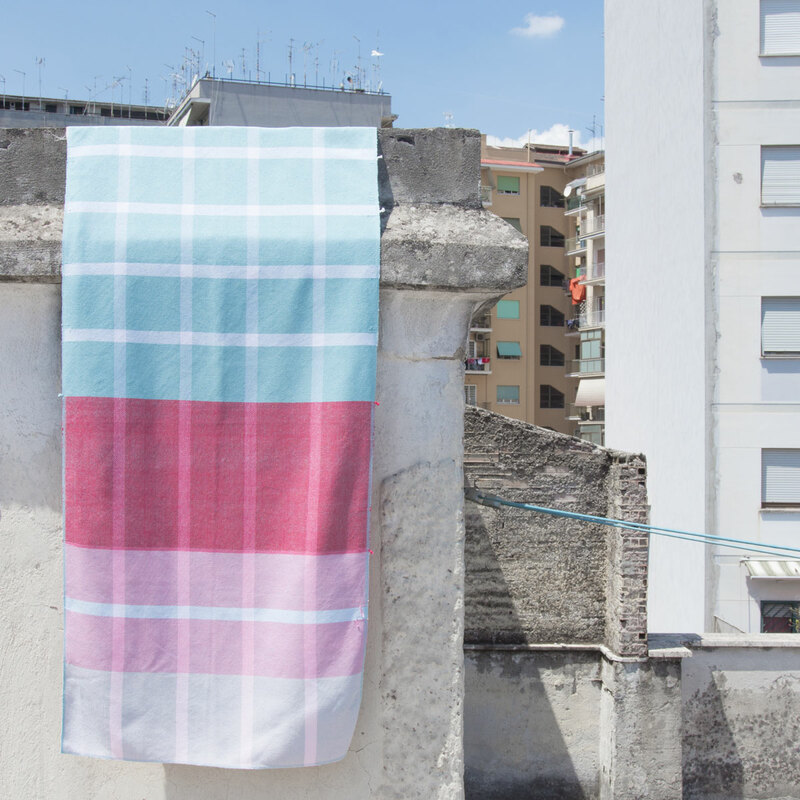 We liked the idea of working with the traditional design and use the wonderful colours and grid schemes in a new way. 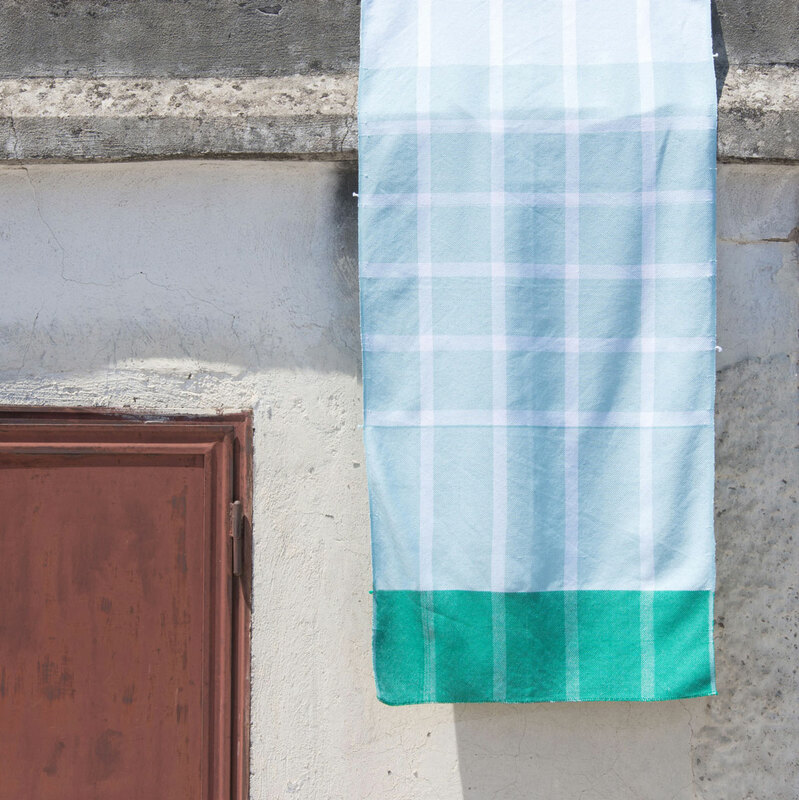 Our Gamcha cotton towels are handwoven in Italy and produced in a very limited edition of only five numbered pieces. 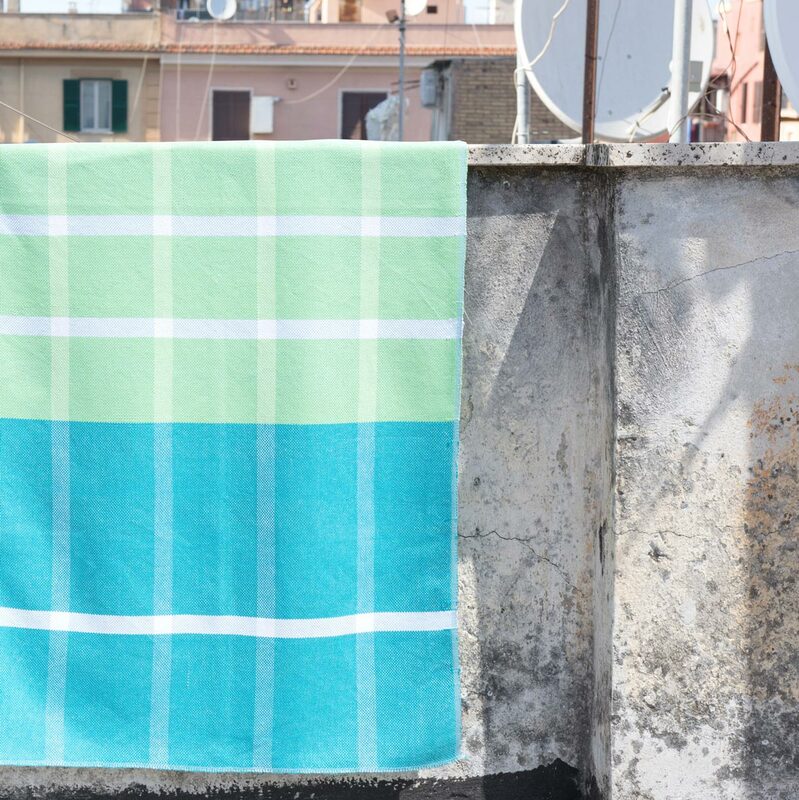 Perfect as bath or beach towels, they can also be used as tablecloth.